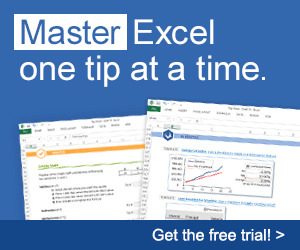 This chapter deals specifically with the ins and outs of using the Excel macro recorder. Recording a macro isn't always the best approach, and some macros simply can't be recorded, no matter how hard you try. You see, however, that the Excel macro recorder is very useful. Even if your recorded macro isn't quite what you want, the recorder is an excellent learning tool.